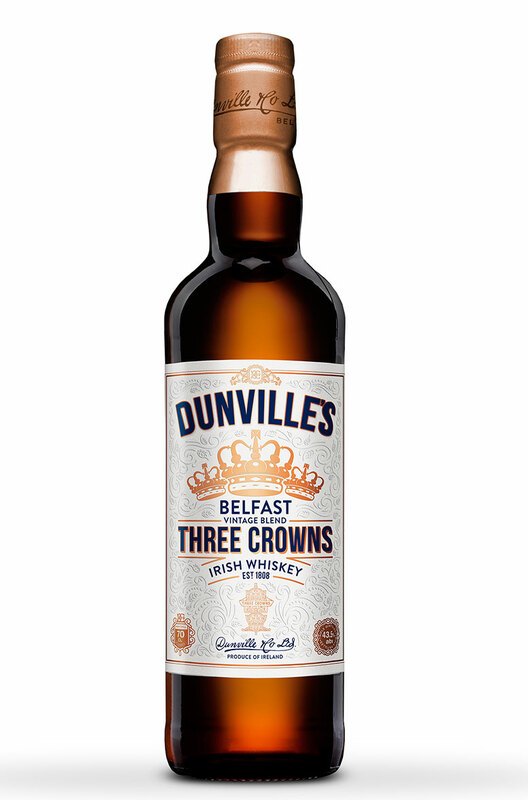 Dunvilles Three Crowns is a light and delicate Irish blend. Echlinville has resurected this famous old brand that was once made in the Royal Irish Distillery, Belfast. For this current bottling 3 fine aged whiskeys have been taken from 3 different cask types. A fitting concept for such a named whiskey! The Echlinville Distillery are part of the new wave of Irish distillers. Their own spirit is current..